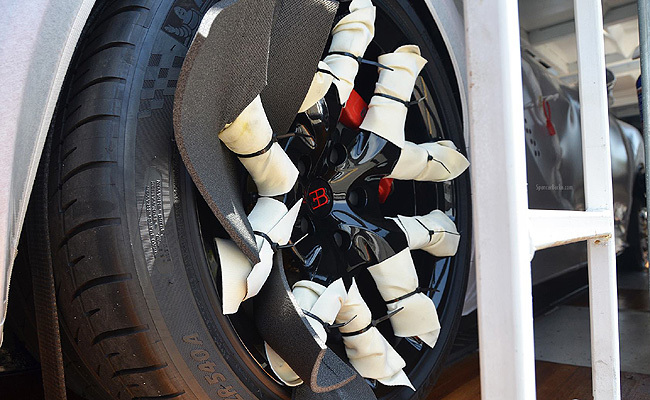 We can probably call ourselves lucky if we ever get to see a Bugatti Veyron up close. We can even say we're luckier still if we get to see the French hypercar being delivered to a dealership straight from the Bugatti factory. Fortunately for us, Symbolic Motors of San Diego, California, lets us in on that process. 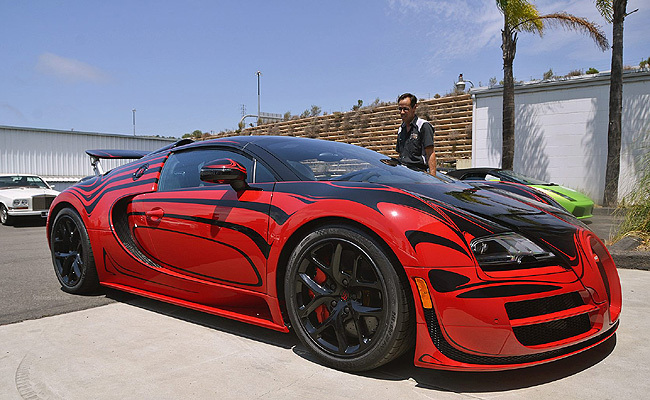 This Veyron right here is called the L'Or Rouge, a one-off special version of the Veyron Grand Sport Vitesse. 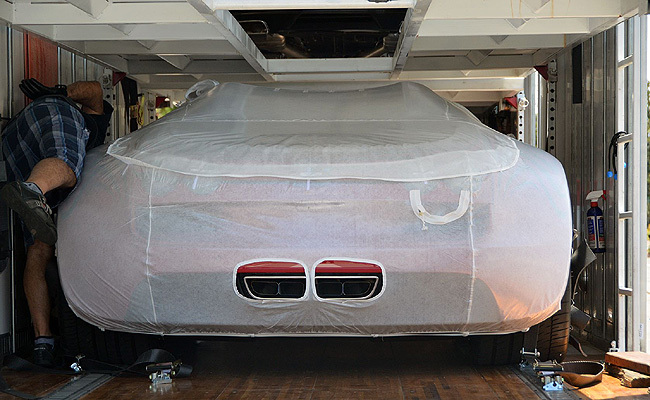 Unlike in the case of mass-market cars, which only have protective covering on the hood and the roof, this particular Veyron is completely covered all over--save for the exhaust, of course--as it is being delivered to the dealership. 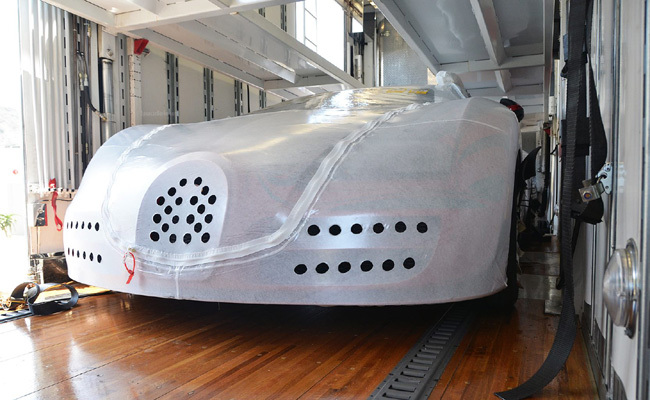 A skilled technician then has the delicate task of freeing the car from its protective wrap. As the car is being driven into the dealership, we can't help but notice that there are already two "standard" Veyrons in it: The first one is parked outside with the L'Or Rouge parking right beside it, and another one inside the service area and hoisted up on the hydraulic lifters. Symbolic Motors, by the way, also sells Rolls-Royce, Lamborghini and Bentley. Watch the video at the bottom of the page.